Just popping in quickly today to share a card I made using my Simon Says Stamp October Card Kit. So many adorable papers and fun items in this kit. I can't wait to do lots more with this kit. A couple of minor notes about this card. First, the picture is horrible...and I apologize for that. I just haven't quite perfected the photography skills yet. Also, I was hoping to be able to take a picture of the card standing up, so that you can see it's actually a window card. 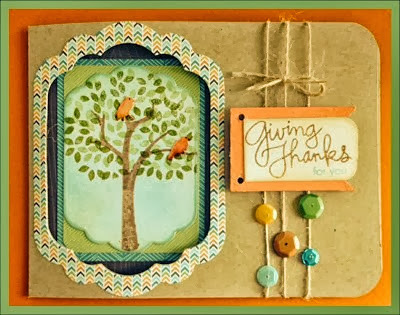 The tree image sits in the inside of the card with the window frame around around it on the front of the card. I stamped the tree using ColorBox Chalk ink in Chestnut Roan, and the leaves on the tree with Stampin Up! Old Olive and Certainly Celery. I used a bit of Tumbled Glass distress ink in the background of the image just to cut down on the bright white background. I colored the chipboard banner piece with the acrylic paint included in the kit. I stamped the sentiment in the Chestnut Roan ink and the "for you" underneath in Tumbled Glass. I used distress markers for the birds before cutting them out and adhering them to the tree. 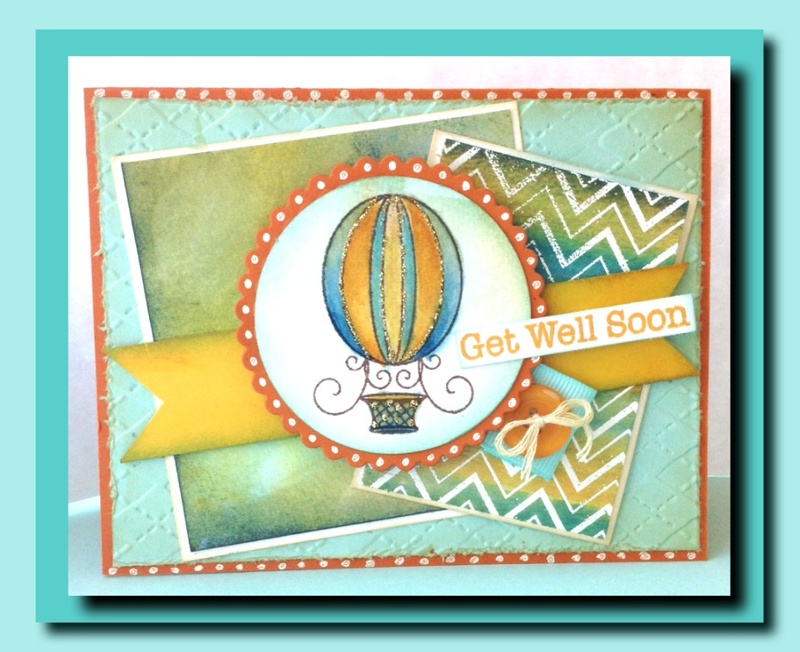 I am linking this card to the Wednesday Simon Says Stamp Challenge and a few others as well, which I've listed at the end of the post. Roseflower Creek is the beautiful, stunning and tragic story of a 10 year old girl who suffers greatly the consequences of events that happened long before she was born. The story is told through the eyes of Lori Jean, who we find out, has died from the very beginning of the story. The first line of the book is "The morning I died, it rained" and with that once sentence you know this is going to be an emotional story. It has a very similar set up as "The Lovely Bones" with the exception that Lori Jean isn't trying to steer her parents or the authorities to figure out who killed her. She simply wants to understand why the person killed her. Through Lori Jean's eyes we take the journey back through all the events that led up to the moment the "rain washed the blood off my face." As the spirit in the story, Lori Jean is also able to observe conversations and guarded moments while unseen, and during these times, she discovers things that help her to not only understand the people around her; but that also allow her to forgive them. Lori Jean is a beautiful character. She is innocence in it's purest form. She is dirt poor, abused, on the verge of being unwanted by her own mother; and yet she has a huge heart. She finds the good in everyone. She truly believes that in spite of everything that has happened to her and around her that there is goodness in the world. She is a child, who despite dying at such a tragically young age, was truly wise beyond her years. She never gave up hoping that the next day would bring something better for her and her family. It is a story that will stay with you long after you finish it. Lori Jean is a character you won't want to let go of and it will make you sad that you can't fix the wrongs in her world. For as sad as it is, however, I still highly recommend this book. The opportunity to learn the lessons of forgiveness and understanding that Lori Jean teaches through out the story are just too important to miss. 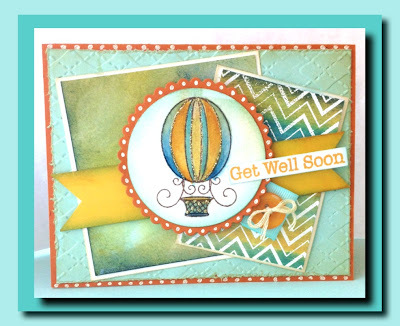 Today I'm here to share a card using more products featured in Simon Says Stamp STAMPtember release. 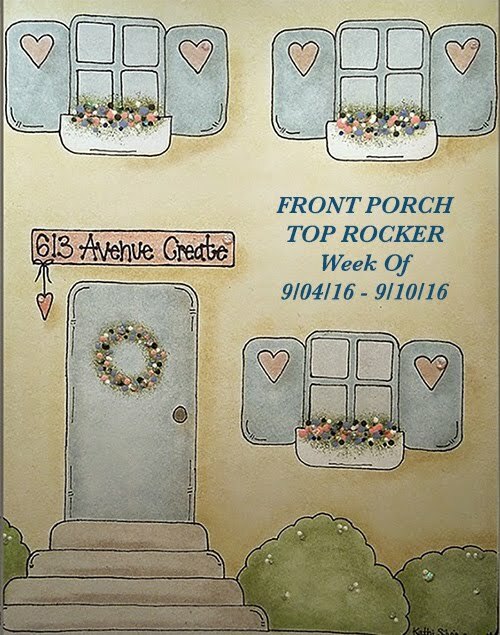 I am also linking this card to the Simon Says Stamp Wednesday challenge this week to use your SSS Stamptember supplies! 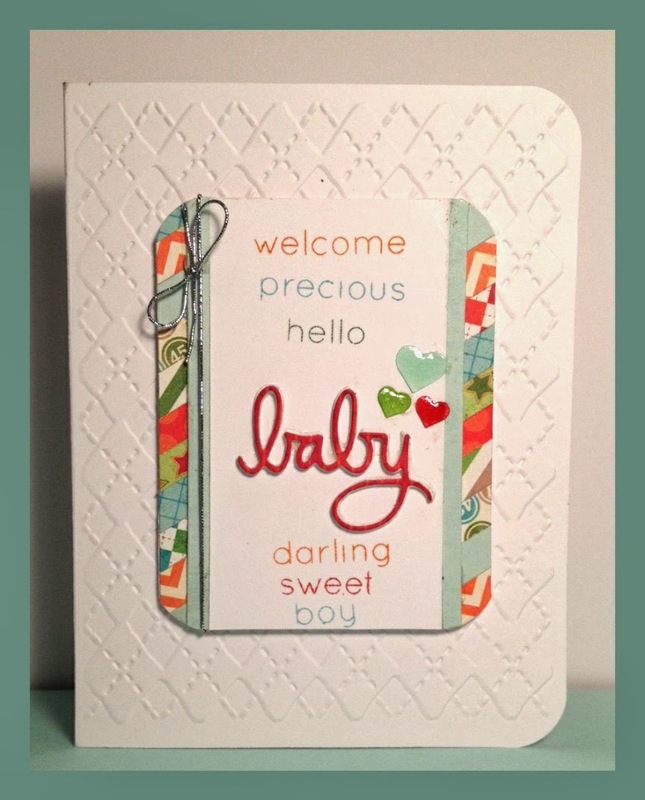 I have two cards to show you because I decided to do a girl baby card and a boy baby card. 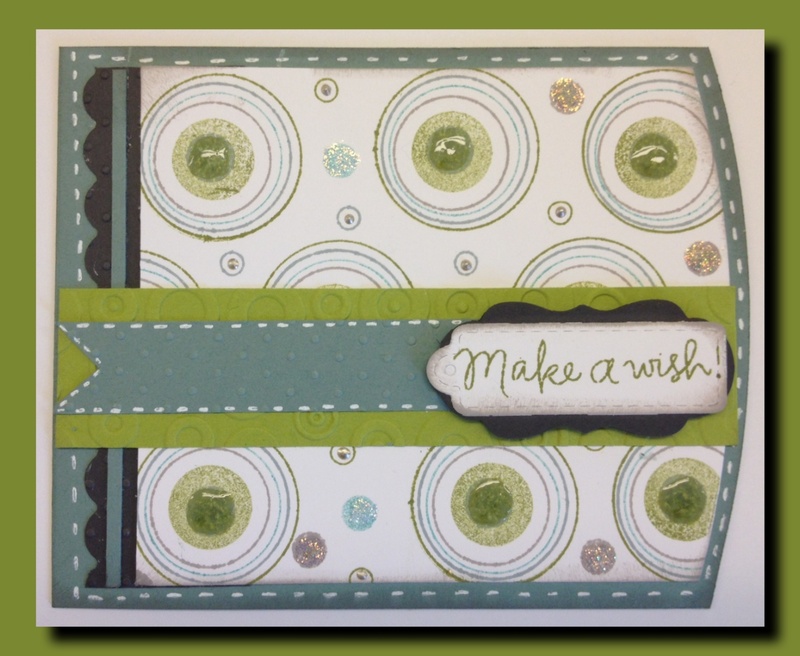 This card was inspired by this card made by the always inspirational Jennifer McGuire. I wasn't quite as proficient at getting my stamps to line up straight down the middle of my card, however! Although, I have to say I think they turned out a bit better on the girl card. I made this card using the "Darling Baby" die cut and stamp set I also took a close up picture of the die cut to show how I had made it 3D. 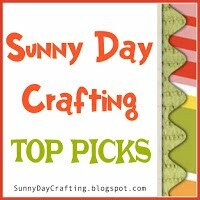 This is very simple and effective way to get your die cuts to pop out from the page. I simply die cut the word 5 times in white card stock (cheap white stock is fine) Then I adhered them all together and finished with the color layer on top! The patterned paper for the boy's card came from Lime Twist by MME and the girl card has pattern paper from Basic Grey hopscotch collection. Guess what?! I got me some new stamps yesterday! Yay!! I think part of my lack of desire to blog has been that I haven't had anything new in a while, so I just felt like I was creating with the same thing over and over again. 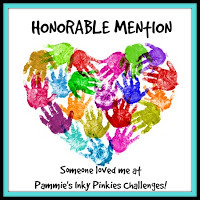 So, I have been loving all the STAMPtember products that Simon Says Stamp released and decided I deserved to treat myself to a few new goodies. I couldn't wait to play with them today! 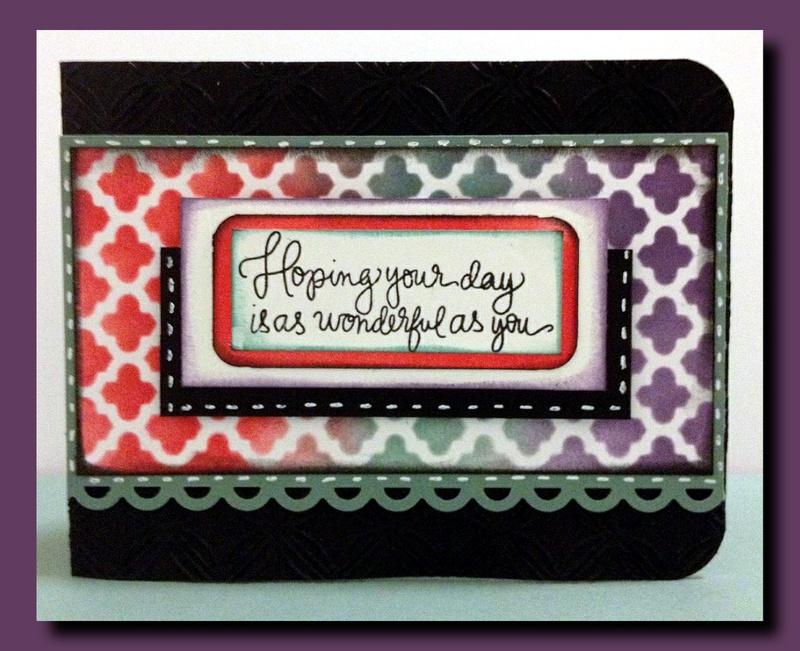 I decided also to participate in the SSS Wednesday challenge as well of embossing. 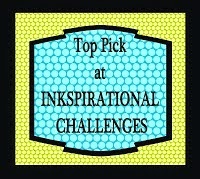 Now, my original plan was to do a background of heat embossed circles using the new "Lots of Dots" set. However, I changed my mind and decided to build the outline circles instead. 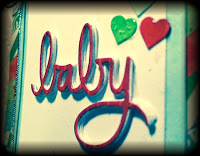 I stamped them with Peeled Paint, Iced Spruce, Evergreen Bough and Pumice Stone distress inks. So, then I shifted the embossing to the middle panel and the side. It isn't a lot of embossing; but it's there! I included a little close up picture so you could see it. I used the A2 card edge die to create the curved edge of the card. If you have this or are thinking about getting it, let me just warn you that it is VERY delicate. Also, be sure you put it through your die cut machine properly. I had it turned the wrong way and actually ended up bending it slightly....what a nightmare that was to fix! 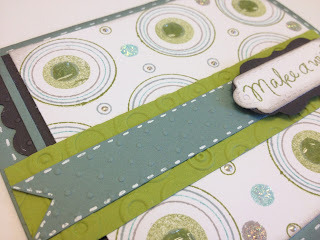 I added some glossy accents, perfect pearls and some stickles to the circles on the background to add a little interest.